Ellesmere Port residents are reportedly furious at the decision to change the name of Cheshire Oaks to Chester Oaks. The name change, which has already been made on the sly, wasn’t initially spotted until highlighted by local Facebook mum Tracey Fury. Tracey posted about the name change on a local Facebook group, which caused outrage among other local residents and people who don’t live anywhere near Ellesmere Port. 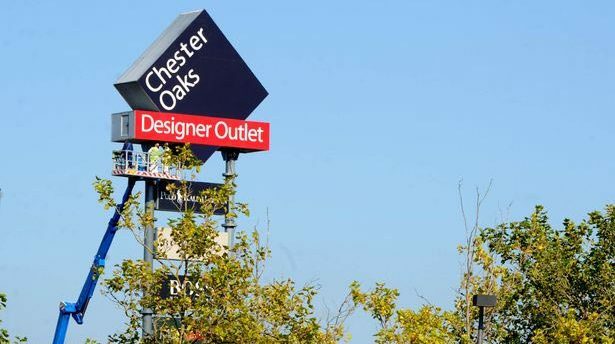 The name change was made by the operator, McArthurGlen, who reportedly always wanted the out of town retail outlet to bear the name ‘Chester Oaks’ instead of ‘Cheshire Oaks’. The name was chosen as Cheshire Oaks when the outlet first opened in 1995 to stop complaints from local residents. Chester Oaks is located in the Chester suburb of Ellesmere Port. Shoppers know it as Chester. It’s about time we recognised that with the name. OMG!!! Im Fummin. Theyv changed Cheshire Oaks to Chester Oaks the BSTRDS!!!! What do you think of the name change? Is it a slap in the face for Ellesmere Port, or is about time Chester’s out of town retail park was finally named correctly?